Thing like autogate and fence required more maintenance effort as they are expose under the weather, no matter raining or sunshine. What can we do to maintain the condition of fence? By doing a good maintenance of fence, it can protect your home for long term. To clean wrought iron fence, prepare some dish cleaning liquid with some water and sponge or old clothes. You can use a spray to clean the ornate part of the fence for better cleaning effect. Use a old clothes to dry the fence . Use some wax to protect the paint on the fence. If there is any part was damage with scratch, sand it with steel wool and apply some rust-resistant metal paint. 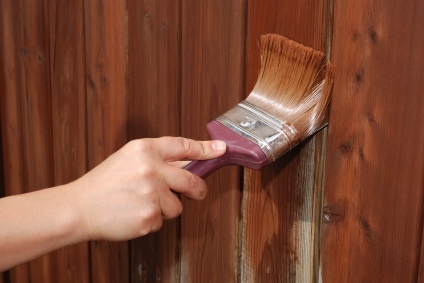 If you found any flaking or bubbling paint, get it off from wrought iron using a brush. You must clean up the area before applying rust-retarding primmer. Finally, use a small brush or spray to apply rust-resistant paint. Sometimes, we might not realize the damage happened on the fence. If you see large areas of rust, you will need to repaint the fence. Use a wire brush to remove all the rust and flaking paint. For deeper rust, use a coarse file to clean it. After removing the damaged part, use rust remover and sandpaper to sand the surface. Use trisodium phosphate to to do final cleaning. After the fence dry, apply rust-inhibiting metal primmer and black rust-resistant metal paint. Posted in fence, Tips. Tags: fence maintenance on June 26, 2014 by Simple Internet.